Home/Knowledge Base/Web Hosting/How to rename a MySQL database name? How to rename a MySQL database name? A database name can be renamed. This is usually done when you want to change database configurations or you have unwanted database access from previous or old users. Please follow the instructions below on how to rename a MySQL database name. Step 3. 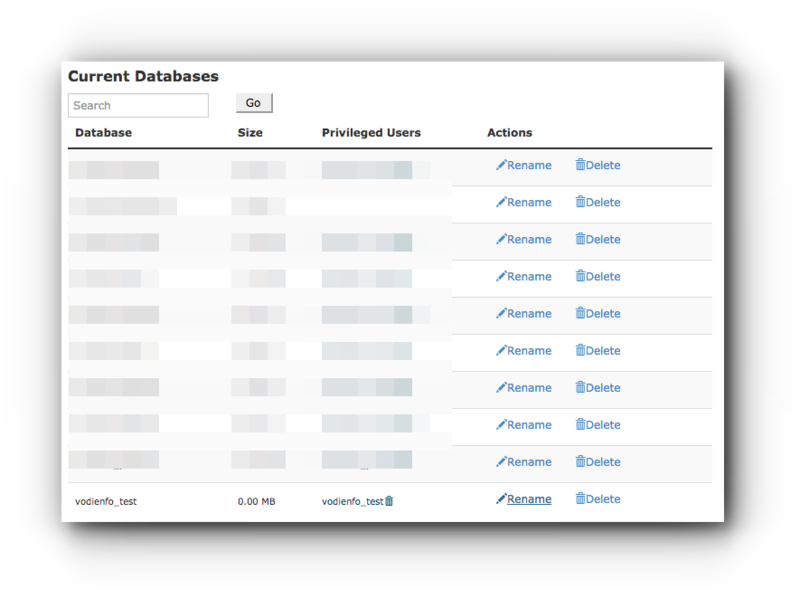 Scroll down to Current Databases and click on Rename along the database name you want to modify. Step 4. Enter the new database name and click on Proceed button to save the changes. 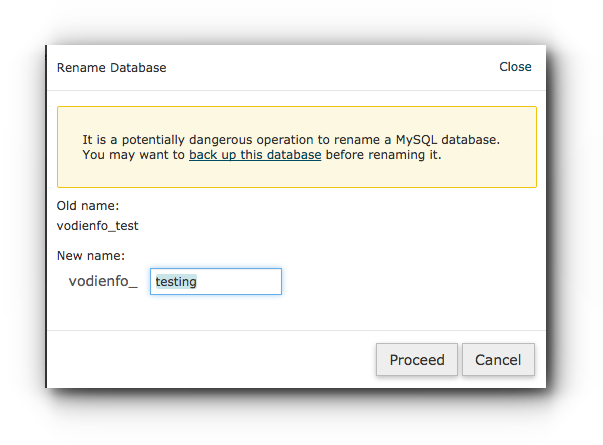 In this example, vodienfo_test is changed to vodienfo_testing and the MySQL database has been successfully renamed.